Don't you think your child's favorite doll should be as unique and colorful as your child is? And shouldn't it be lovingly created by someone who has a special relationship with your child rather than mass produced in a foreign factory? 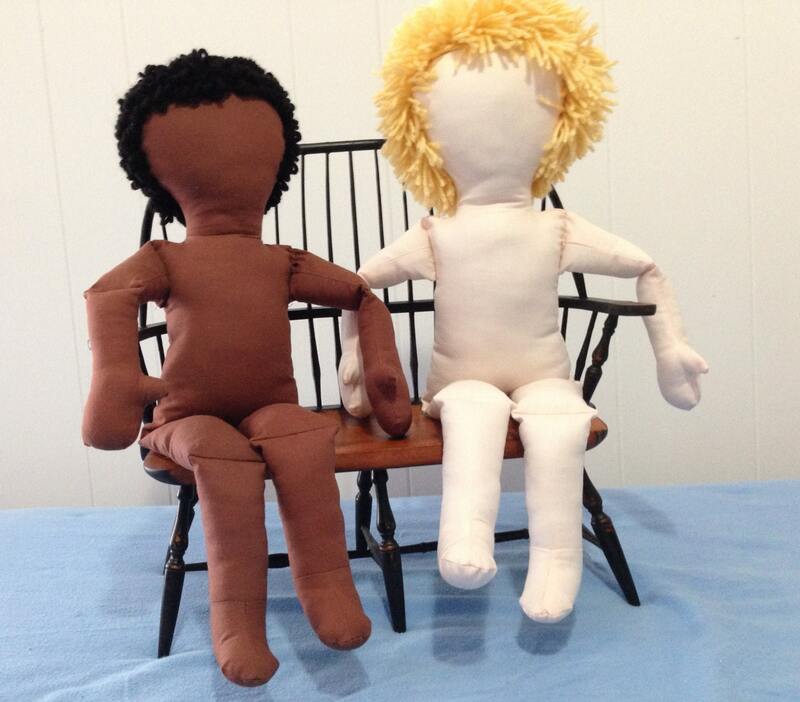 My Doll'n™ is a traditional cloth doll designed to be easy to make, soft and cuddly, with bending knees and elbows. Don't you think all dolls should have bending knees and elbows? Each doll made from this pattern will be similar in size and recognizable as one of its group yet each one will be unique to each doll maker who will choose their doll's skin and hair color, hair style, face design and clothing variations. Don't you think doll makers and doll recipients would enjoy taking their dolls to lunch at their favorite local restaurant for a My Doll'n Friendship Group™ gathering? And wouldn't it be fun to participate in doll making classes, doll shows and other special events which the group can plan for their dolls in their own communities?